FIRST DERMO-COSMETIC PLUMPING GEL WITH 6 HYALURONIC ACIDS (HA) FOR AT-HOME USE. At home filler treatment for wrinkles and to plump cheekbones and lips. Replenishing wrinkles and providing greater volume for areas of the face such as the cheekbones and lips is a topic that most of our clients are worried about . Fillerina is an original dermo-cosmetic product that lasts for two weeks. 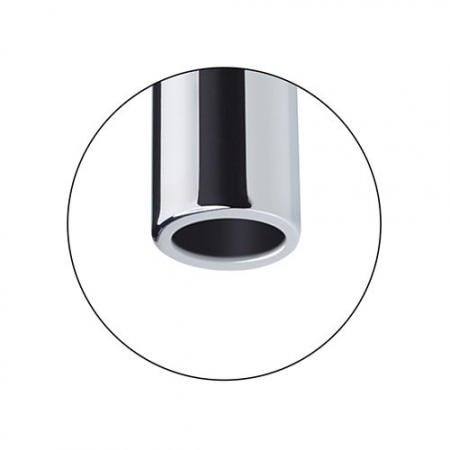 It is able to act rapidly, offering a replenishing action for at home use. The Fillerina Dermo-Cosmetic Replenishing Gel & Nourishing Film for at-home use comes in three different grades. Purchase Grade 1 – The appearance is of subtle age wrinkles, expression lines and facial features with signs of subtle sagging, especially cheekbones and lips. Purchase Grade 2 – The appearance is of visible age wrinkles, expression lines and visible sagging, especially cheekbones and lips. Purchase Grade 3 – The appearance is of deep age wrinkles, expression lines and severe sagging of facial features, especially cheekbones and lips. Using 6 different forms of Hyaluronic Acid, which produced naturally by our body for the purpose of moisturising and protecting the skin. Hyaluronic acid is classified as a glycosaminoglycan, because the molecule is formed by the repetition of long sequences of two simple sugars, glucuronic acid and N-acetylglucosamine. Thanks to its particular molecular structure, it is able to retain large amounts of water in the tissues, keeping them moisturised and protecting them from excessive tension and stress. The high amount of the mix of 6 different forms of hyaluronic acid molecules allows for the formations of a dense, intricate molecular network that guarantees shape and tone to the tissues. Hyaluronic acid is a fundamental component of the dermis. Its particular properties provide the skin with the classic characteristics of softness and elasticity. Hyaluronic acid may also be used to correct other cosmetic defects like filling in small scars, fill out and plump up thin lips and enhances the volume of cheekbones. Fillerina is a dermo-cosmetic filler treatment, which is able to obstruct wrinkles and to give more volume to those areas of the face that are more subject to skin sagging with time-passing. For this reason, of course, the product is suitable for those people whose skin presents such kinds of beauty flaws. It is hard to say an age, but we can say that it can be used by women as young as 25-30 years old. Why is it important to drink at least 2 glasses of water before the treatment? Hyaluronic acid filling properties are linked to its capacity of binding water molecules in the tissues. The largest the quantity of water that the hyaluronic acid binds, the most effective its capacity of plumping up tissues will be: this way it will fill wrinkles and empty areas of the face. By providing water to the organism, we provide water to cutaneous tissues too: this presence will be captured by Fillerina hyaluronic acid. What grade Fillerina should I choose? Fillerina’s different grades indicate different concentrations of active ingredients, you should choose which treatment fits best to your personal conditions concerning skin depressions (wrinkles) and volume needs (cheekbones and lips). The difference is in the distribution of the different sizes of HA molecules in each grade. Has a higher % of the larger sizes which penetrate the top layers of the skin, absorb more moisture from the atmosphere, mainly provide volume in the cheekbones and lips and beautiful moisturized skin. Is a nice even mix to benefit the middle range of skin. Grade 2 has a mixed % of the larger sizes and the smaller size HA,which penetrate the top layers of the skin, absorb more moisture from the atmosphere, while also helping to hydrate the lower layers of the skin. Helping to provide volume in the cheekbones and lips, beautiful moisturized skin, while also helping to plump forehead lines and around the eye area. Has a higher % of the smaller sizes HA which are needed to penetrate deep into all layers of the skin, which will build upon each other to gradually smooth out deep wrinkles and correct sagging aging skin. PLEASE NOTE: Grade 3 is wasted on clients who should be using Grade 1 or Grade 2 and will not work as well on a person who does not have a lot of deep wrinkles. Fillerina filling treatment must be used every day for 14 days. 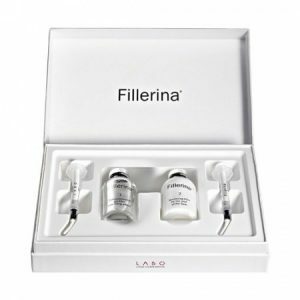 Fillerina is a cosmetic treatment based on hyaluronic acids with different molecular weights, which helps fill wrinkles, expression lines and empty areas of the face. Because of its specific nature – it is a cosmetic treatment for topical use – its effects are temporary. If you wish to maintain the achieved results, we recommend to repeat the treatment every 3-4 months. Between a cycle we highly reccommend using ASI Cosmeceuticals, to maintain results. Yes, other skin creams can be used with Fillerina. Fillerina skins creams are recommended as they also have the 6 patented HA molecules and will increase the results during the 14-day treatment and after treatment. Retin A is an exfoliant and is not recommended during the 14-day treatment, it is actually good to take a break occasionally from Retin A. Once the treatment is completed, you can continue the Retin A. Are there any contraindications for the use of Fillerina Treatment if i have Acne, Rosacea, or Acne Scarring? If your skin presents sebum and acne, it is advisable to use ASI Rejuvenating Foaming Cleanser before Fillerina application. Hyaluronic Acid (HA) can improve your skin’s moisture content and at the same time strengthen skin’s barrier. A healthy barrier looks and feels softer, smoother and plumper, all hallmarks of younger looking skin. Sun damage, acne, sensitive skin and rosacea, can lead to a damaged barrier, so repairing the skin’s barrier with skin-identical ingredients, like HA can work towards fixing those issues or minimizing them. HA is a lightweight texture which is not an issue for oily skin and is gentle enough for sensitive skin. HA also provides antioxidant defence against free-radical damage and reduces inflammation. 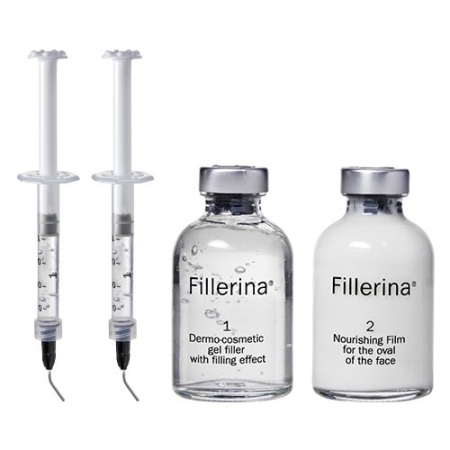 Fillerina helps in filling and fading scars, and also prevents scar formation. Grade 2 ingredients and what they do? Grade 3 ingredients and what they do? How should i preserve the products during treatment? Once opened, Fillerina Gel and Nourishing Film should be room-temperature stored, inside their original bottles, which should be closed by means of the provided tips. 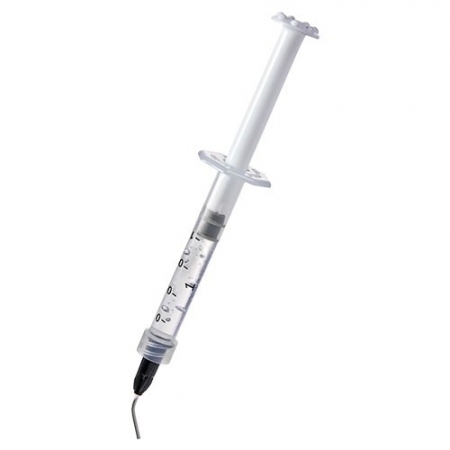 How to clean the applicator during treatment? What happens if the treatment causes me to breakout? If the treatment causes minor breakouts, this is probably from the Nourishing Film, not the Replenishing Gel. A suggestion is to use less or stop using the Nourishing Film but continue the 14 days with the Gel. If a major rash or reaction is caused, which is very unusual, stop using the product. If the person has allergies or very sensitive skin as with any skin care products, the product should be tested on a small area first.